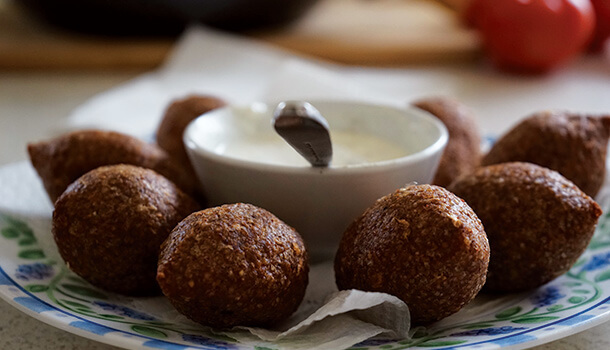 These recipes are basic, yet delicious, and will give you an introduction to cooking Arabic food at home. 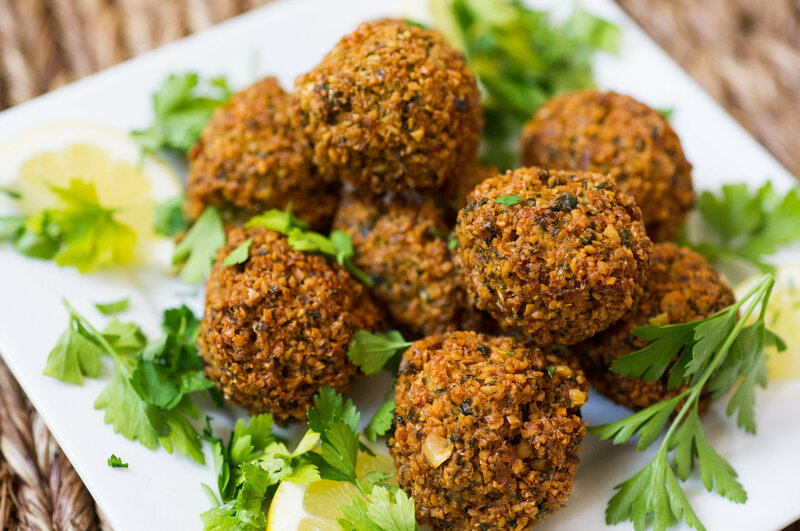 Check out these 5 Easy-to-Make Arabic Dishes for Beginners. Grate the onion and the garlic cloves into a bowl. Then add in the chickpeas and mash. Season with 1 tsp coriander and cumin seeds. Add salt and paprika and 1 tbsp baking powder and dried parsley. Smash the mixture well. Then add 1 tbsp of flour and 1 tsp of corn starch and well. Shape them into small balls or flat if you prefer and deep fry till its nice and dark brown on the outside. Drain on paper and serve hot with yogurt mint sauce or any other preferred sauce. Roll out the pastry flat and season with salt and pepper. Squeeze out all the liquid from the spinach and crumble it over the dough. Crumble over some feta cheese over the top. Cut into triangles and seal the edges of roll the entire dough into a roll and roll it like a typical borek. Brush over with egg wash, sprinkle with some nigella seeds or black sesame seeds and bake at 160 degrees Celsius to 180 degrees Celsius depending on your over, for about 20 minutes till golden brown. Serve hot. Prepare the dough as follows. Add 60 ml of hot water to the bulgar in a large bowl. Just enough to let it soak for 10 to 15 minutes.Dice half an onion. Stir in curry powder salt and a pinch of cumin powder. Transfer to a dry blender. Add in 200g of ground beef and blend smooth. Transfer to the fridge for 20 minutes to set. Meanwhile, dice the remaining onions and and fry in a pan together with a clove of diced garlic. Add in the pine nuts and the remaining beef. Cook until the beef turns brown and season with salt and dried mint. 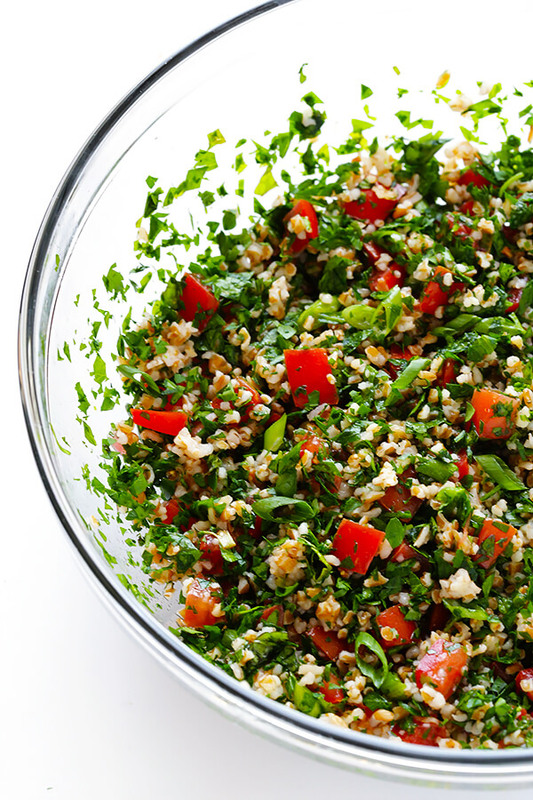 Take one to two Tbsp of the bulgar and shape into a lemon and make a hollow at the top. Then fill the hollow space with the meat mix and close the gaps to resemble a small lemon. Then deep fry immediately and serve with hot sauce. This vegetable salad is unique, easy to make and goes with any main dish as a side. Soak the bulgar in boiling water for 30 minutes till soft.Then dice the tomatoes till they are small pieces. Dice the onions till they are small and fine. Mince the parsley and the mint without the hard stalks. Mix all together with the drained bulgar and flavour with lime or lemon juice. Leave it in the refrigerator or serve cold or serve hot with the main dish. As an additional option,you ma also add some fresh pomegranate seeds. Mix the milk, semolina, granulated sugar and orange blossom water all together in a large saucepan. Heat the mixture over high heat and keep stirring it with a whisk for about 10 minutes or until it gets thickened like custard. Pour the thick mixture, spread it on a flat tray and tap on it’s surface with a wet spatula to make a smooth surface. Put it in the refrigerator for 15-20 minutes. Prepare the cream topping by mixing the cream with the powder sugar. Take out the semolina mixture and spread the cream evenly on it. Keep in the refrigerator for 2 to 3 hours at least. Top with crushed nuts and pour a little sugar syrup over it and keep chilled. Serve chilled.Cut into small diamond shapes and serve. MURFEST 2017 – Asia’s Largest Urban Wellness Retreat Festival Returns!